Subscribe ? Forward to a friend ? Email not displaying correctly? View it in your browser. Hello Dewitt,I have some astounding ? exciting news to report to you. After 18 years of fighting, APC?s efforts to stop the UN?s Agenda 21 has just received an amazing boost! Because the Republican National Committee (RNC) just UNANIMOUSLY passed a resolution opposing Agenda 21! That means that our fight is no longer hidden from the main stream of the American political debate. It means no longer can our opponents succeed in labeling us ?fringe conspiracy nuts? as they have tried so hard to do. One of the two main political parties in the United States of America ? the Republican Party ? just said Agenda 21 is a treat to our freedom! This is a huge victory. And it is energizing our activists across the nation. It means we can now use this resolution as a weapon against Agenda 21. It means Republican elected officials, from Congress on down to your city councilmen will be much more willing to listen to our protests. But, of course, the battle is far from over. You and I must use this new weapon effectively. We must demand that Republicans at every level be pressured to support the platform of their party. That?s why it?s urgent that you sign the enclosed Petition to Speaker of the House John Boehner urging him to oppose any Agenda 21 legislation that comes before the House of Representatives. The petition includes the exact language used in the RNC resolution. Speaker Boehner is the highest elected Republican office holder in America. He leads all policy decisions that come before the House. He is the man who can block Sustainable Development grants, comprehensive development schemes, energy controls, and federal land grabs ? all part of Agenda 21. For the past year APC has been gaining success in waging battles against Agenda 21 in city councils and county commissions, helping more than 54 communities to end their memberships with the International Council on Local Environmental Initiatives (ICLEI). And we?ve started to have some success in state legislatures as well. Now for the first time we have the opportunity to take the battle to Congress because the Republican Party ? on a national level ? has taken this action to officially oppose Agenda 21. It is now our duty to take up this courageous action by the Republican National Committee and use it to apply pressure on Congress. So please, today, right now, sign your petition to Speaker Boehner and it will be instantly emailed to him. Every Republican office holder in the nation must be made to toe the party line ? starting with Speaker Boehner! Your signed petition is the first step. Sign your petition here. And please, as you send your signed petition please also include your most generous contribution to the American Policy Center. 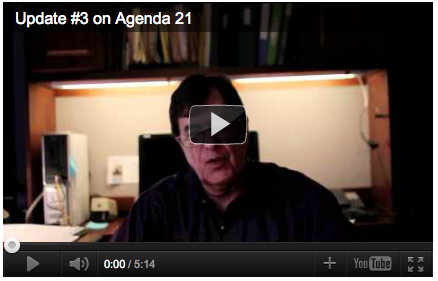 APC is the recognized leader in the nation in the fight to stop Agenda 21. I must have your continued financial support to win this battle for American liberty. Without your support I can do nothing. Every dollar counts. If you want to make a contribution that makes a difference then your dollars to APC is your best investment. APC is scoring victories in a battle they said we could never win! So please sign your petition to Speaker Boehner and make a contribution to APC today. I?ve never been more energized or more convinced that we will win. Your support is making this possible. 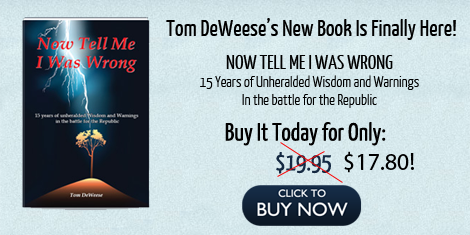 Sign your petition to Speaker Boehner by clicking hereThank you!Tom DeWeesePresident P.S. The best way you can help APC financially is to pledge a monthly contribution of $10 or $15 or more. That gives me a guarantee of income and helps me through the lean months. And it helps me plan our battles. Whatever you can send is vital to our efforts. Thanks so much for your loyal support. Click here to make a donation.